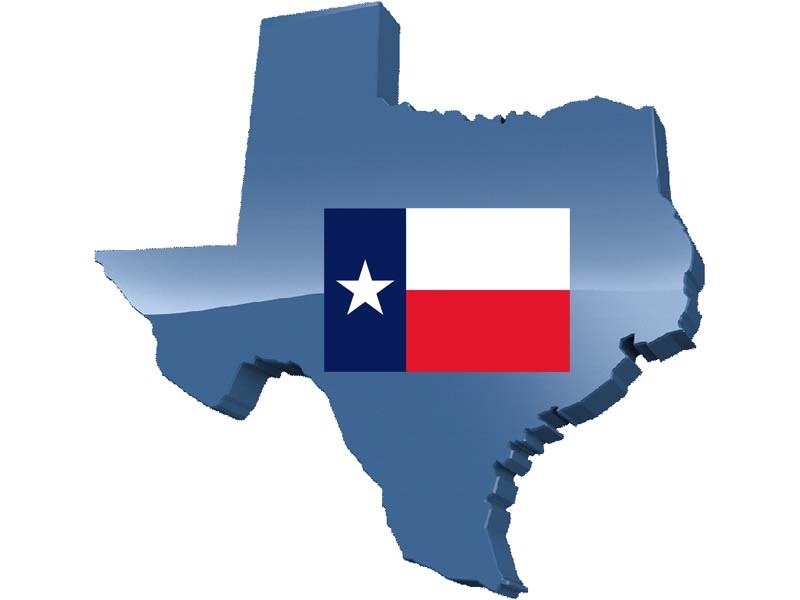 TEXAS AS A PURPLE, THEN BLUE STATE? A major game changer for 2024 ? (3 presidential election cycles from now). We do not often reprint in full projections or articles from other sources entirely, but though the debate about the impact of rapidly increasing Hispanic populations and aging white conservative populations in Texas has fascinated progressive pundits. And, we suspect, caused some unease among conservative ones! Here is a sample from the “Chachy” blog in DAILY KOS, citing some other sources, that forecasts the possibility of Texas becoming a presidential swing state by 2024 and possibly blue by 2028. Because this weblog is dedicated to interesting projections of progressive / New progressive/ read: usually Democratic prospects for the next 30-40 years it is highly relevant. With Texas as the second most populous state, a rather long term (12-16 years) projection of Democratic presidential potential would be a major game changer. With NY and CALIFORNIA as predictably Democratic, a Democratic Texas would radically alter the presidential landscape. But can this happen? read on and in upcoming posts we will weigh the credibility of this. Note that the “KOS” blog-post and the NEW REPUBLIC and other more skeptical commentary originally appeared in July of this year. Nothing major has changed. The other day I wrote a comment in which I tried to project future voting trends in Texas. This diary is a lot like that comment! But with more words. And a few images. First, a little bit of background on Texas demographics. As of the 2010 census, the state was about 45% white, 38% hispanic, 11% black, and 6% other, mostly Asian. That’s compared to 53/32/11/4 in 2000. State’s getting less white, more hispanic. But you knew that. (This and the next image are from a presentation (pdf) by the state demographer.) 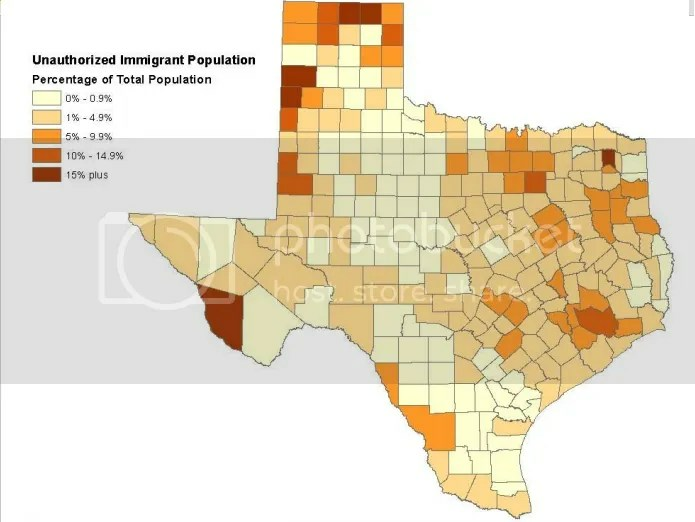 You’ll notice that most undocumented immigrants live in the Houston and Dallas metros, whereas the vast majority of hispanics that live in the border counties are citizens. This goes a long way towards explaining, incidentally, why hispanic turnout always seems so feeble in Texas’ two biggest cities. Setting aside the citizenship issue, the hispanic population skews very young – a lot of them are just too young to vote. (Plus the ones who are eligible are less likely to vote, just because young people are more likely to stay home on election day. Whereas old folks like nothing more than to vote. Man, they just vote, vote, vote! Vote like there’s no tomorrow (which there isn’t for old folks, of course). And just look how white old folks in Texas are!) All of which is to say, the citizen voting age population substantially lags the demographic change which Texas has seen in recent years. You can see the discrepancy from overall population figures – a white/hispanic ratio of 45/38 in the overall population becomes 57/26 in terms of CVAP. But the question I want to answer is: what do these numbers say about future voting patterns in Texas? Well, in 2008, Obama won 26% of whites, 63% of hispanics, 98% of blacks, and, let’s say, 60% of others (just guessing on that one). In 2010 as a gubernatorial candidate, Bill White got 29% of whites, 61% of hispanics, 88% of blacks, and who knows how many of the others. So if we’re looking at expected performance for a fairly generic democratic candidate for federal office in Texas in a neutral year, I think we can expect they’d get about 27% of whites, 62% of hispanics, 90% of blacks, and that made up number of 60% for others. This makes it seem that Dems ought to be competitive in Texas statewide races by the end of this decade, and solidly favored by the mid-’20s. However, this forecast would basically represent turnout nirvana for Democrats, because hispanics do not vote at anywhere near their CVAP numbers. Anyways, to illustrate the point: according to this report, the CVAP breakdown in Texas ca. 2008 was about 58/26/13/3, but according to exit polls turnout was 63/20/13/4. Given the numbers I used above, that works out to 43.5% for the Dem – just slightly less than Obama’s actual share, since he of course totally dominated the black vote. So if we assume Dem performance remains static among each demographic group for the next 12 years, Texas ought to be a genuine swing state by the 2024 election. We might even have a shot in Texas by 2020, depending on how that year plays out. Okay, there you go. If this diary is offering a prediction, this is it. And what this prediction says is that Texas ought to be on the cusp of competitiveness by 2024 – and, though the numbers don’t go this far out, it’s clear that the state ought to have a gen-u-ine Dem+ PVI by 2028. A slight one, but still. And if you’re wondering if there are precedents for this sort of demographics-based partisan shift – I think there are. California and Nevada have been undergoing many of the same demographic trends as Texas: rapidly growing minority populations, especially hispanics, etc. These states just may be a bit farther ahead on the curve (and of course they started from a much higher Democratic base). And here are what the Democratic margins have been in California relative to the national vote over the last four elections (1996-2008): +4.4, +11.3, +12.4, +16.8; for Nevada the numbers are -7.5, -4.1, -0.1, +5.2. Whereas I’m predicting that between the elections of 2012-2024, Texas could go from roughly -12.4 to -9.8 to -7.6 to -3.1. As you can see, the changes in voting tendencies that have actually occurred in California and Nevada are greater than what I’m predicting for Texas. It can and does happen! The trends you see here have continued into this decade. And the number one source of these migrants is California, followed by states like Arizona and Florida, as well as the big cities of the northeast and midwest. These are places where white voters vote more like 40-50% for Dems. Boom. Over 50% by the 2024 election. There you go. Okay, I’m done. Jesus, that took for goddamn ever. I’m never writing a diary again. Interesting differences among the major cities, to be sure. What’s even more interesting is applying a bit of algebra to the numbers provided, which show that Houston’s <18 population is 87.3% citizen [compared to 47.3% of the 18+ population). The trend is replicated throughout the state, with the statewide number for all cities being 92% for <18 Hispanics. 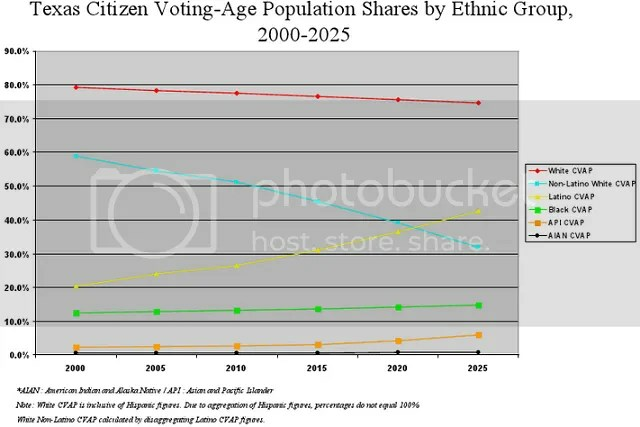 What this means is that the present hispanic population is something of a paper tiger in voting terms (as I’ve emphasized here) but that future growth in hispanic population most certainly will not be. POST-2012 UPDATE: In 2008, whites were 63% of the electorate and went 73-26 for McCain. Blacks were 13% and went 98-2 for Obama. Hispanics were 20% and went 63-35 for Obama. But Obama clearly did better with hispanics this year – almost every overwhelmingly hispanic county swung towards him, even though he did worse overall in the state. In Texas, the best data so far show a 70-30 split for Obama among Hispanic voters, according to Rice University political science chairman Mark Jones. Romney performed several points worse than Sen. John McCain did in 2008. At the same time, Jones points out, Hispanics became a larger share of the vote in Texas, going from 20 percent in 2008 to 25 percent in 2012. But Falkenberg’s claim that the electorate was 25% hispanic seems a bit high to me, especially given that turnout was generally down in the state. Based on the numbers above, I would have expected hispanics to be about 21-22% of the electorate this year. If they were 22% and going 70-30 for Obama, then Obama would have won more like 20% of the white vote. That’s still lower than any other recent Dem presidential or senate candidate has done, but still seems believable to me. 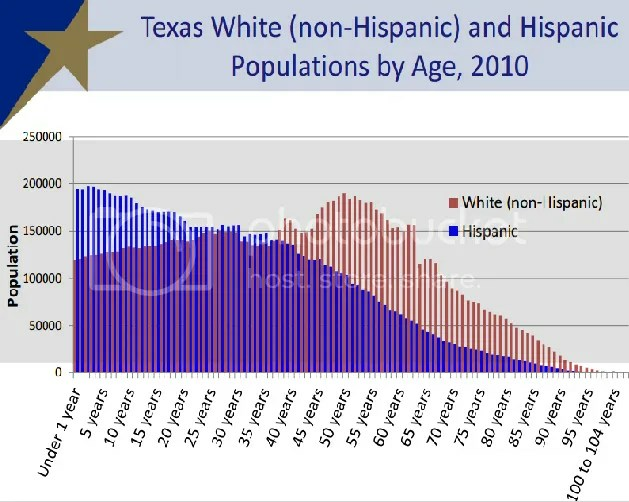 Assuming a future composition of the Texas electorate of 56/25/14/5 W/H/B/O for 2020 and like 50/30/14/6 for 2024, then if 70-30 for hispanics and 20-80 for whites becomes the “new normal” in Texas, the republican would win 56-44 in 2020 and 53-47 in 2024. In 2028 the state would be a toss-up. …well, you get the idea. The CVAP numbers will of course be lower for hispanics and others, and higher for whites and blacks, but the gaps between VAP and CVAP will probably gradually narrow over time, as young hispanics are far more likely to be citizens. ORIGINALLY POSTED TO CHACHY ON MON JUL 30, 2012 AT 07:11 AM PDT. ALSO REPUBLISHED BY TEXKOS-MESSING WITH TEXAS WITH NOTHING BUT LOVE FOR TEXANS, SOUTHERN ACTION, COMMUNITY SPOTLIGHT, AND DAILY KOS.